Artist, designer, educator Steve Holler of Rancho Murieta and The Sea Ranch will be featured at AmadorArts Gallery for the month of June. Starting June 6, the same date as the 1st Saturday Art Trek, be sure to find your way to 11-A Randolph St. one block off Main Street in Sutter Creek. An open-to-the-public reception for Holler will be held June 6th from 3 to 6 pm inside the gallery. Holler has enjoyed a successful career in design as an internationally recognized creative director and designer working with some of the finest talent in the communication design profession. 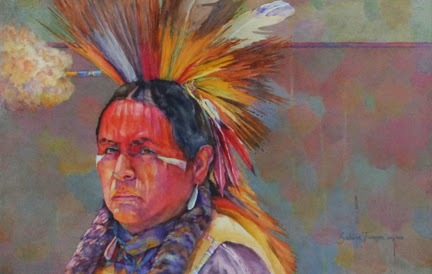 Now, a full-time fine artist and educator, he applies his communication abilities to connect with the viewer through painting and drawing. Created in acrylic on canvas Holler’s images strive to introduce the viewer to new visual possibilities found in every day life. Check out his use of bold color, descriptive light and compositional form. Holler holds a Bachelor of Fine Arts (BFA) degree from The Kansas City Art Institute, and a Master of Fine Arts (MFA) degree from The California College of The Arts, with additional graduate study at the Yale University, School of Art. 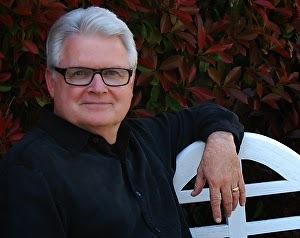 Currently, Steve is on the full-time faculty of The Art Institute of California–Sacramento. He lives with his wife Jeannie just north of Amador and on the Sonoma County coast. 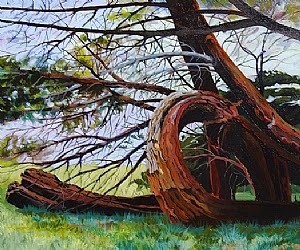 Also in the June show will be permanent AmadorArts Gallery contributor Karen Crane of Jackson. She will have a collection of her pieces including smaller earrings and pendants, as well as simple bracelets, selected especially for all-occasion gift giving. AmadorArts Gallery is open Saturdays and Sundays from 12 to 4 pm (until 6 pm on 1st Saturdays). During the week it’s best to call ahead (209) 267-9038. For more information visit www.amadorarts.org. 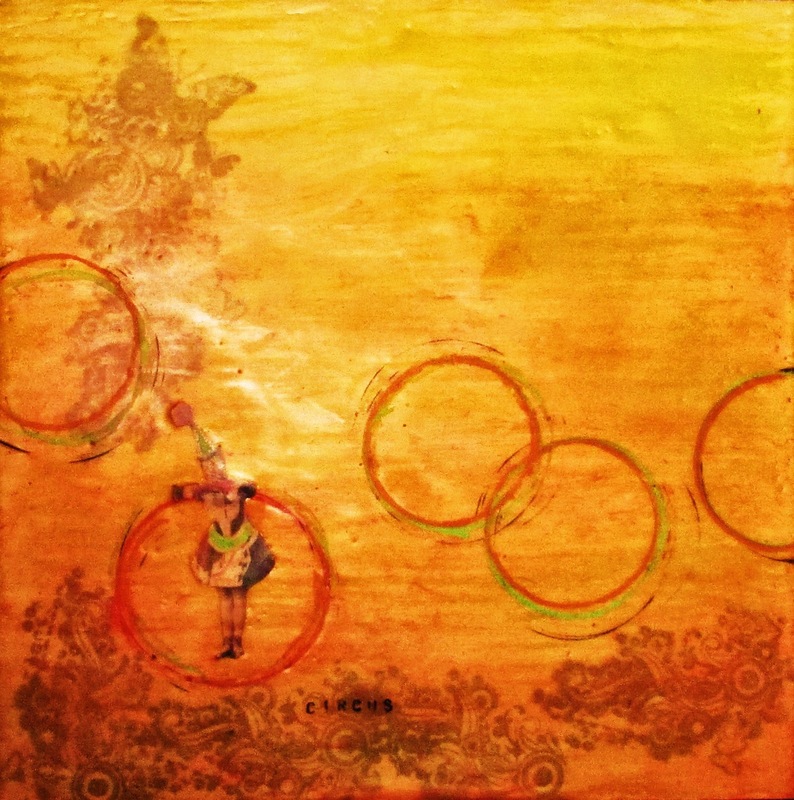 Sharon Galligan is a professional artist painting in watercolor, oil, acrylic, monoprint and mixed media. 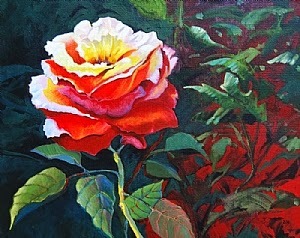 She has studied art extensively, both in school and with renown artists. Her travels and workshops in the United States and Europe are a constant source of inspiration and subject matter for her art. Her style ranges from realism to impressionism, to occasional abstract art. 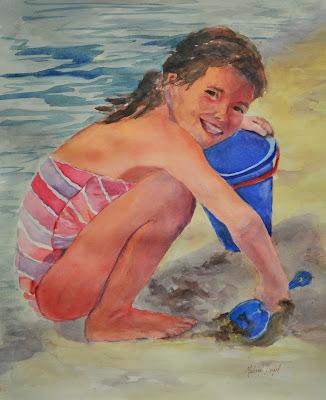 Sharon loves the freshness and spontaneity of watercolor, but she always experiments with new media, techniques, and point of view. She is a consistent award winner in National and International shows! Sharon will be showing an eclectic collection of her work at Gallery 10, Eureka St., Sutter Creek, during the month of May. Her paintings will hang all month, so come by any time, Thursday-Monday, 11-5. 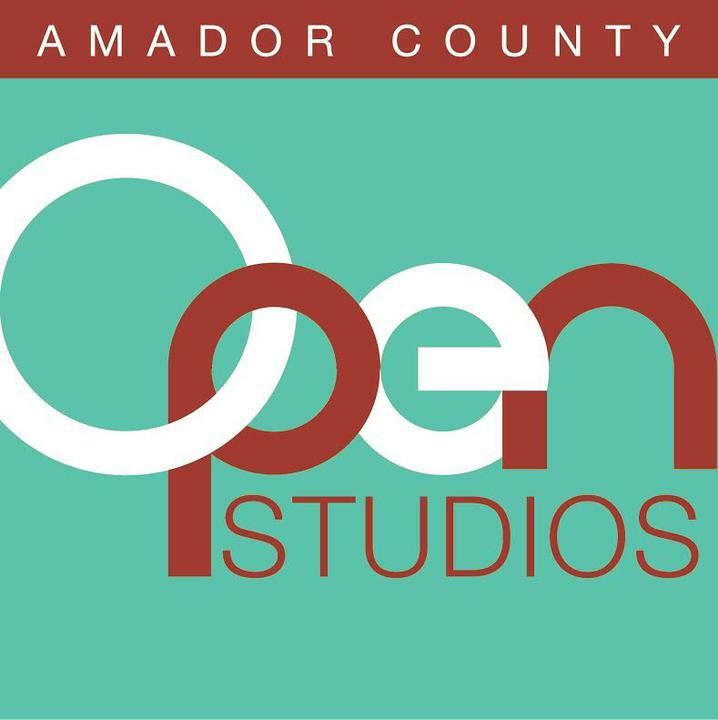 The Amador County Artists Association is hosting the 2015 Artists Open Studios on Saturday and Sunday, September 19 and 20, from 10 AM to 4 PM. ACAA is offering Amador County artists the opportunity to open their studios to the public to show, demonstrate and sell their work. This event has been well attended in previous years and has featured anywhere from 25 to 30 of the county’s finest artists. If you are interested in being a part of this exciting community event, call or email Artist Contact Cynthia Dunn-Selph at 623-703-3806 or dunnselphc@yahoo.com for more information or to obtain an application. Completed applications and fees must be received by June 12. Earlier sign-ups are necessary if you need help finding a location or providing a photograph for the brochure. 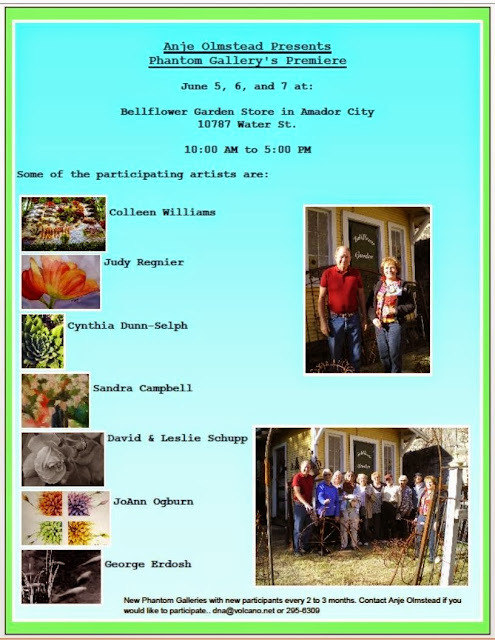 The Open Studios committee can also use help with some jobs to make this a successful event. Preview the summer and vacation vicariously with gallery artists. Dig your toes in the sand at the beach. Catch the “big one” at your favorite fishing hole. Maneuver your kayak around rocks and through eddies. Artworks in a variety of media will be on display on these topics and more. Come see the unique pieces created by these talented artists to celebrate this theme. 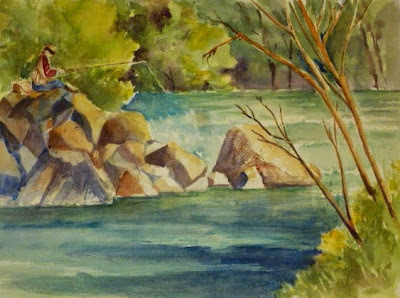 Sutter Creek Gallery will hold a reception on Saturday, June 6, from 4 to 7 p.m., in conjunction with the region’s First Saturday Art Trek. 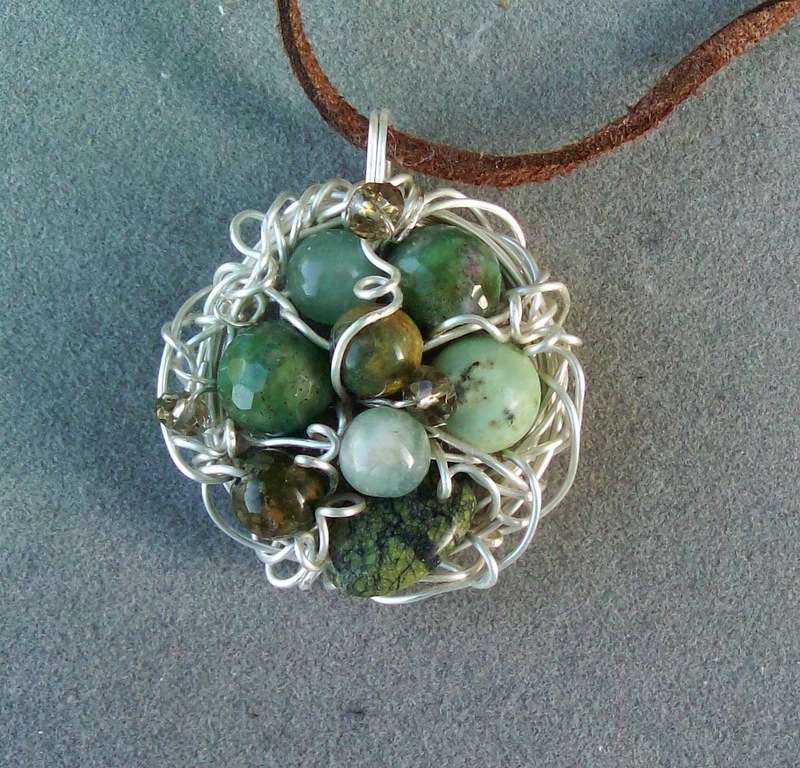 This cooperative of local artists is located in the heart of Sutter Creek at 35 Main Street. Besides original paintings and photographs, Sutter Creek Gallery offers many affordable items including prints, cards, jewelry, gourds and fiber arts. The gallery is open Sunday, Monday, Wednesday and Thursday from 10 a.m. to 5 p.m., Friday and Saturday 10 a.m. to 6 p.m. For additional information, call 209-267-0228, email suttercreekgallery@gmail.com, or visit www.suttercreekgallery.com. On May 5, a reception was held to honor students who entered the Artists Association’s Annual High School Student Art Show. Karen Crane organized the show, and Sabina Turner acted as judge to determine the winners. At the reception, the Best of Show was announced, along with Best of Schools for Independence and Amador high schools, from among the 150-plus entries. This year’s show hangs at the Amador County District Office, 217 Rex Avenue, Jackson. Family members, fellow artists and members of the public are encouraged to view the show in support of these young artists who are beginning their artistic journeys. The show will hang until May 29 and be available for viewing between the hours of 8 and 4:30, Monday through Friday.